The 10 Best Brunch Spots in Wisconsin! Brunch is a weekend staple. And to do it right, you have to know exactly where to go. Eat your way through the best brunch spots of Wisconsin where you’ll walk away with a full belly and nothing but satisfaction. Don’t forget the mimosas! Here are the 10 best brunch places in Wisconsin. Bassett Street Brunch Club is the place to be for brunch in Madison. You will be floored by their extensive brunch menu featuring both the sweet and savory. They even have a dish called The Hangover for those living up to its name. Otherwise in true Wisconsin fashion they offer aa length list of brunch cocktails. Café Hollander is so good, that they have five locations in Wisconsin. Their brunch is to die for. From traditional breakfast foods seamlessly mixed in to lunch favorites, Café Hollander has done brunch right. They also offer six different Blood Mary options—it doesn’t get much better than that! Three words: brunch at Sardine. You must stop by for Sardine’s famous brunch menu. Form omelets and entrees, to sandwiches and salads—you’ll love the versatility at Sardine. Start your morning off right with something from behind the bar to better suite your brunchin’ needs. Sine 1961 Paul Bunyan has been a brunch favorite in the Northwoods. All you can eat—lumber jack style. Seven a.m. until noon you’ll be served up the best of the best in the Northwoods. You can’t forget about those famous Paul Bunyan homemade doughnuts. Engine Company No. 3 effortlessly brings together breakfast and lunch to bring you one of the best brunch spots in Milwaukee. We recommend making reservations but if you decide to pop in they have a cozy space for you to sip on your brunch cocktail or coffee while you wait. Mad Rooster Café is a hot new spot in Milwaukee open for breakfast and lunch. You’ll love the selection of omelets and French toast to sandwiches and their famous breakfast burger. 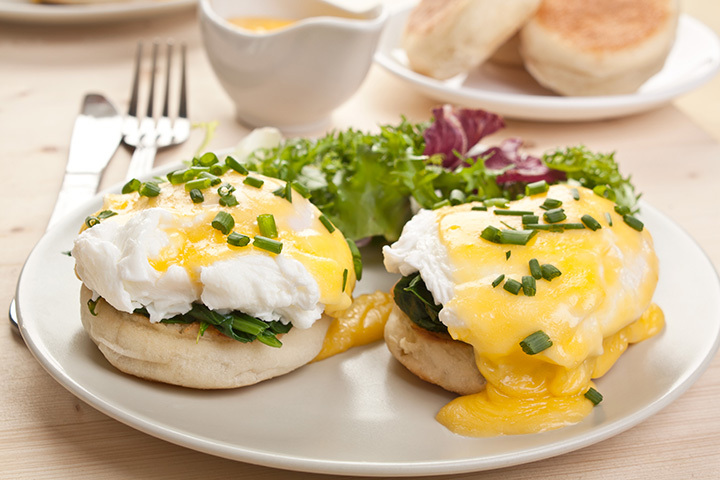 You’ll love the blast of flavor you’ll get by stopping in for brunch at the Mad Rooster Café. Blue’s Egg serves a brunch from 7 a.m. to 2 p.m. every day. This new spin on American brunch just might have you raving about Blue’s for weeks to come. Order basics like eggs and toast or be a little daring and try one of their daily specials, you won’t be disappointed! Lively pub by night, but one of the best brunches by day. On Saturdays and Sundays stop into Bar 430 for an unexpected tasty brunch. Choose between small, medium, or large plates. You’ll love their spin on omelets and waffle dishes. Check out why everyone is raving about Bar430 in Oshkosh. SAP in Appleton is a quaint little brunch spot filled with people who are just as passionate about good food as you. Build your own omelet at SAP or choose something from the griddle. You’ll love the fact that they support local Wisconsin grown products when possible. You and your family will love the Homestyle cooking at brunch here at the Chat and Chew. Their breakfast and lunch menus will have you watering at the mouth just reading them. Build your own breakfast over good company and a pot of coffee.